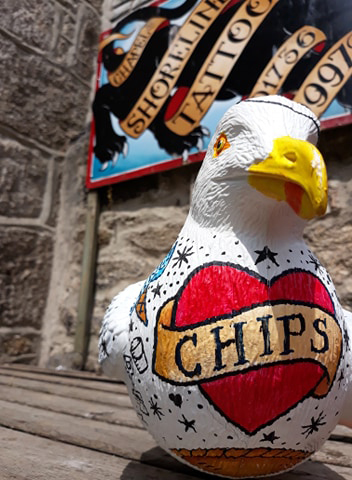 Shops and businesses in the Cornish seaside town of St Ives reported a large increase in visitor numbers this summer after thousands of people took part in the town’s colourful Seagull Trail. St Ives Business Improvement District (BID) organised the trail which featured 12 seagull models, all decorated by local artists, schools or community groups, roosting at spots around St Ives this summer as part of an initiative to help people learn more about how to live alongside the town’s famous resident birds. Specially designed maps helped people to search them out in order to earn a package of sweet treats as a prize, while explaining handy tips on how to avoid negative encounters with seagulls and advice on how to understand gull behaviour – including a guide on how to speak gull language. Visitors, locals and businesses were overwhelmingly positive about the trail, with more than 500 maps being snapped up within the first two weeks of the campaign and two further print runs needed to meet demand, while many of the shops and businesses hosting a seagull reported increased footfall during the time of the trail run. St Ives BID organised the trail as part of its annual summer campaign to help tourists and locals alike better understand gull behaviour. This is to help avoid any negative encounters with seagulls, and enable visitors to the town to understand why it is best not to feed the gulls. Around 240 pairs of Herring Gulls now call St Ives home and are known to snaffle food from passers-by, a problem made worse by people deliberately feeding them. The trail was supported by seagull expert Peter Rock, who provided tips and information on how people and seagulls can enjoy their time together in St Ives. The beautiful seagull models displayed across popular venues, shops and businesses in St Ives were decorated by artists including Katrina Slack, Keran Sunaksi Gilmore, Sharon McSwiney, Donald Macleod, Barnoon Workshop and Sloop Studios, as well as by children from St Ives Junior School, St Uny CofE School and Little Seahorses and Hi Tide Kidz Club, representatives from C.A.M.E.O Social Group and Tate St Ives and the staff of Shoreline Tattoo Parlour. 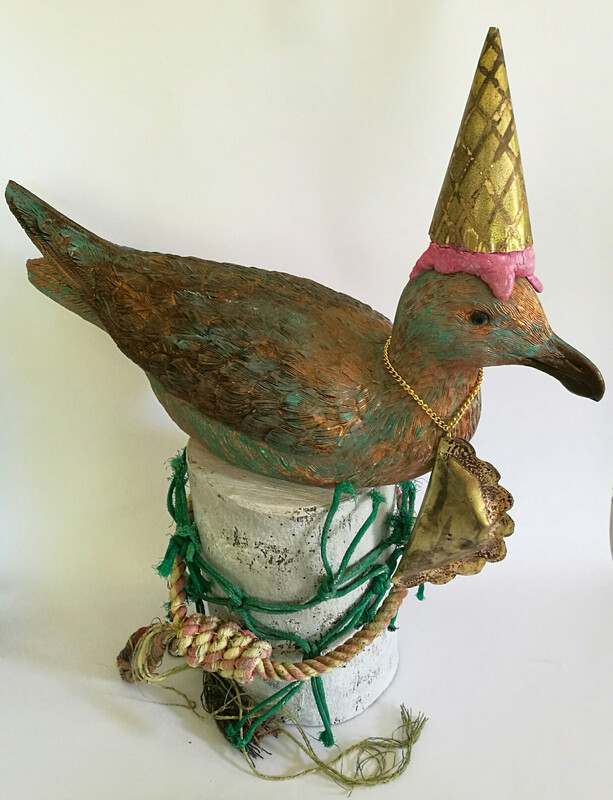 Owing to the huge success of the trail and the interest expressed in the seagull models, St Ives BID is now looking at ways to showcase all of the gulls together, with details to be announced soon. St Ives BID is a not-for-profit company and has completed a number of innovative projects as part of its work to improve the trading environment of St Ives. Previous summer campaigns to raise awareness of seagulls include last year’s Snapchat Geofilter with a Don’t feed the gulls message, and 2016’s The Daily Gull newspaper.